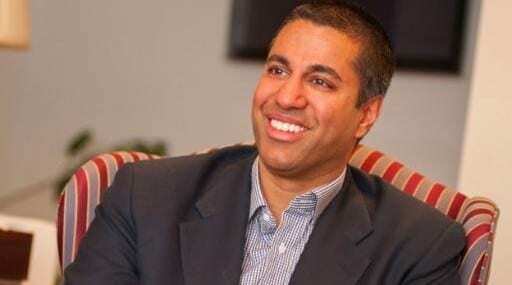 FCC Chairman Ajit Pai and Acting FTC Chairman Maureen Ohlhausen have penned an article for The Washington Post, defending the decision to reverse ISP privacy rules. The debate over the rights and wrongs of the move to change the opt in/opt out policies of ISPs for use in advertising platforms will continue to rage over the coming months, but you’ve got to hand some credit to Pai and Ohlhausen; they have made some valid points, albeit alongside some less sturdy ones. “During the Obama administration, the FTC concluded that ‘any privacy framework should be technology neutral’ because ‘ISPs are just one type of large platform provider’ and ‘operating systems and browsers may be in a position to track all, or virtually all, of a consumer’s online activity to create highly detailed profiles’,” the pair wrote. This was ultimately one of the failings of the Wheeler tenure; while it was an admirable effort to protect user privacy, it compounded an already uneven playing field between the ISPs and OTT content platform providers, such as Facebook. For any legislation to be truly effective, there cannot be disparancey in the rules on how two different organizations can do effectively the same thing. “If two online companies have access to the same data about your Internet usage, why should the federal government give one company greater leeway to use it than the other?” the pair highlight. While it is certainly a well-founded argument, one point which should be highlighted is the choice in which Americans currently have. A surprisingly large number of Americans only have the option of one or two providers in terms of broadband suppliers, whereas they are able to choose if and where they display personal information on social media. A middle ground is likely to be found for the moment, owing to the partisan nature of American politics and also the valid arguments on both sides, but perhaps another interesting twist is the dilution of power at the FCC. In the same article, power to police ISPs has been removed from the FCC and handed back to the FTC, reversing another move from the Obama era. Although a major move, it should not come as a huge surprise. Prior to President Trump’s entry to the Oval office in January, Mark Jamison was appointed to oversee the transition of the FCC to the new administration. Now Jamison has had some pretty interesting views on the role of the FCC, which now seem to be coming to fruition. Back in October, Jamison penned a post titled ‘Do we need the FCC?’ for TechPolicyDaily.com. In the post, he questions the role of the FCC, and put forward the idea of stripping back its responsibilities, sharing jobs out with various different agencies. The remaining role of the FCC should be license radio spectrum, though this should only be concerned over the property right for use and not about content. The post snuck under the radar at the time, and has largely been forgotten since, but is this one of the first steps towards a more streamlined and less influential FCC? One thing we do know about the Trump administration and its generals is that they are not afraid to make bold moves. This is only the first step, and you can almost guarantee there will be more. The policing of ISPs is a major role to hand over, and it makes you wonder what will be next. What will the FCC look like in 12 months’ time?